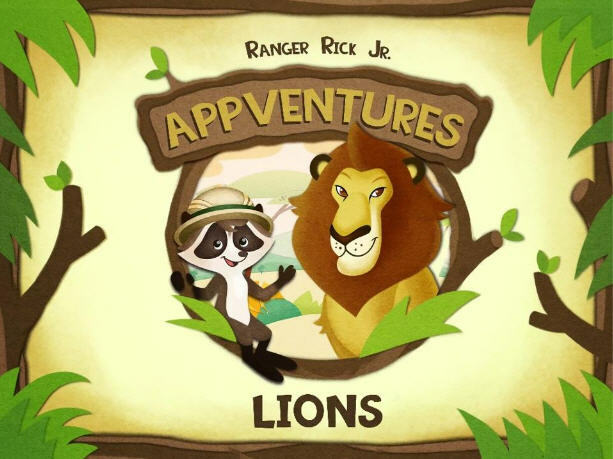 In honor of Earth Day, I'm giving away THREE redemption codes for the wonderful app, Ranger Rick Jr. Appventures - LIONS. You can read the full review of the app that I did back in November. My kids seriously love this app and still play with it now, even though we've had it for months. Their favorite part? The section that allows you to build your own crazy animals using body parts from different ones. NWF has offered to giveaway a free download of this app to three MommyMaestra readers! 1) Follow Ranger Rick Magazine (@RangerRickMag) on Twitter. 2) Follow the RangerRick FB page. I think my son would love this app! And I'm curious to see what he would come up with! Oh cool! Looks like a great app! I think my kids would love this! Thanks! we love ranger rick, and have all the games.